This is the latest for my project on transformation. 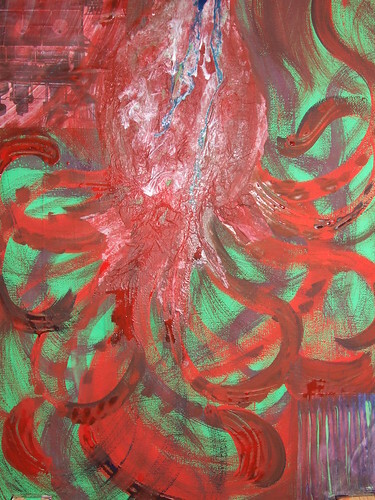 It's based on an octopus drawing, combined with a bloodbag and some abstract forms. 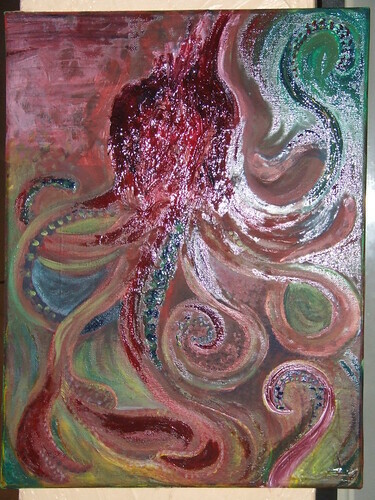 The base is tissue on canvas, and I started with watercolours, before moving onto acrylics, and then oil paints.